Maharashtra is one of the wealthiest and the most developed states in India, contributing 25% of the country's industrial output and 23.2% of its GDP (2010-11). The Maratha-speaking state occupies the western and central part of the country and has a long coastline stretching nearly 720 km along the Arabian Sea. The Sahyadri mountain ranges provide a physical backbone to the state on the west, while the Satpuda hills along the north and Bhamragad-Chiroli-Gaikhuri ranges on the east serve as its natural borders. Maharashtra is the second largest state in India in terms of population and has geographical area about 3.08 lakh sq. km. It has a population of 11.24 crore (Census 2011) which is 9.3% of the total population of India and is highly urbanised with 45.2% peopleresiding in urban areas. 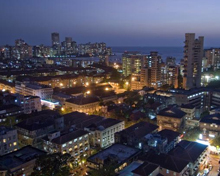 Mumbai, the capital of Maharashtra and the commercial capital of India, houses the headquarters of major corporate houses, MNCs and top financial institutions in the country. 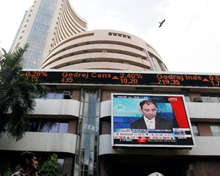 India's main stock exchanges, capital market and commodity exchanges are located in Mumbai. Maharashtra's gross state domestic product (GSDP) accounted for 12.98% of India's GDP in 2014-15, the highest among all states. The GSDP grew at around 11.1% from $92.70 billion in 2004-05 to reach $264.8 billion in 2014-15. Total FDI in the state stood at $73.12 billion from April 2000 to May 2015, the highest among all states in India. Maharashtra's exports totalled $73.9 billion in 2014-15. As of 2011, the state had a per capita income of Rs 1.0035 lakh ($1,500), more than the national average of Rs 73,000 ($1,100). Its GDP per capita crossed the Rs 1.20 lakh ($1,800) threshold for the first time in 2013, making it one of the richest states in India. However as of 2014, the GDP per capita got reduced to Rs 1.03 lakh ($1,600). Both industry and services together contribute 88.7% to the GSDPwhile the contribution of agriculture and allied activities sector is 11.3%. Maharashtra is a highly industrialised state and is at the forefront in the promotion of MSME sector (micro, small and medium units). The state continues to attract industrial investments from both, domestic as well as foreign institutions. 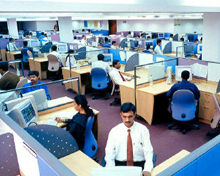 It is a major IT growth centres. Major industries include automobiles, auto-components, chemicals, electrical and non-electrical machinery, textiles, petroleum and allied products. The economy of Maharashtra is driven by international trade, mass media (satellite TV, Bollywood, video games and music), aerospace, sunrise technologies, petroleum, fashion, apparel, and tourism. Maharashtra is the most industrialised state in India and the state capital Mumbai is the financial nerve centre of the country. India's main stock exchanges (BSE, NSE), capital market and commodity exchanges are located in Mumbai. The state continues to attract industrial investments from domestic as well as foreign institutions. Maharashtra has the largest proportion of taxpayers in India and its share markets transact almost 70% of the country's stocks. The service sector dominates the economy accounting for 61.4% of the value addition and 69.3% of the output value in the country. The state's per-capita income is 40% higher than the all-India average. Maharashtra ranks first in FDI equity and has a share of 32.28% in the total FDI flow in the country. Total FDI inflows into Maharashtra are US$53.48 billion. Maharashtra contributes 25% of the country's industrial output. Industrial activity in state is concentrated in four districts: Mumbai city, Mumbai suburban district, Thane and Pune districts. Mumbai has the largest share in GSDP (21.5%), both Thane and Pune districts contribute about same in the industry sector. Industries in Maharashtra include chemical and chemical products (17.6%), food and food products (16.1%), refined petroleum products (12.9%), machinery and equipment (8%), textiles (6.9%), basic metals (5.8%), motor vehicles (4.7%) and furniture (4.3%). Maharashtra is the manufacturing hub for some of the largest public sector units including Hindustan Petroleum Corporation, Tata Petrodyneand Oil India Ltd.
Maharashtra has an above average knowledge industry in India with the Pune Metropolitan area being the leading IT hub in the state. Nearly 25% of the top 500 companies in the IT sector are situated in Maharashtra. The state accounts for 28% of the software exports of India. The state houses important financial institutions such as the Reserve Bank of India, the Bombay Stock Exchange, the National Stock Exchange of India, the SEBI and the corporate headquarters of numerous Indian companies and MNCs. The government of Maharashtra is represented by its 288 MLAs elected to the legislative assembly for a 5-year-term. The most progressive state has a bicameral legislature i.e. it consists of two houses - Vidhan Sabha (legislative assembly) and Vidhan Parishad(legislative council). As is the case in a Parliamentary system, the government is formed by the party, alliance or group of assembly members who command the majority. The leader of the majority in assembly becomes the Chief Minister and selects the cabinet members. From the formation of the state in 1960, the Congress party or Congress-led alliance have ruled the state for the major part. Non-Congress government was first formed in 1978 riding on the anti-Indira Gandhi votes due to public antipathy over the Emergency excesses (1975-77) of the Congress regime. Then in 1995 too Shiv Sena-BJP alliance won the assembly elections but they lost out to Congress in the successive elections. In 2014 assembly polls BJP was voted to power with overwhelming mandate in the backdrop of PM Narendra Modi's popularity. The credit for massive win in the state elections was attributed to Modi's whirlwind campaign along with senior BJP leaders which swayed public perception towards the saffron party. Moreover, a slew of corruption charges against state Congress which faced the heat of anti-incumbency tipped the scales in the favour of the BJP. 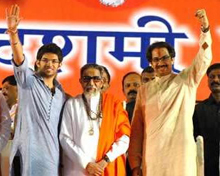 It is to be noted that BJP broke ranks with its traditional ally Shiv Sena during the seat-sharing talks and went alone in the assembly polls banking purely on Modi's rising popularity across the country. Devendra Fadnavis, the state BJP president, took charge as the 18th chief minister of Maharashtra on 31 October 2014. The commercial capital of India is a quintessence of Indian sub-continent with its cosmopolitan people, a busy network of connectivity, religious diversity, bewildering range of skilled manpower and stunning social and economic disparities between areas. Mumbai is the birthplace of Indian National Congress and is the home to several political leaders like Lokmanya Tilak, PherozeshahMehta and Balgangadhar Tilak who took part in the freedom struggle. During colonial times, Mumbai was the commercial harbour and trade centre for the British raj. The colonial masters used the port city to export cotton, raw materials, rare produce like spices and tea to London which fuelled Industrial Revolution in 18th Century England. After Independence, Mumbai took wings and began to grow at a scorching pace to become the commercial capital of South Asia. Every year thousands of migrants, both skilled and unskilled, come to Mumbai to make a career of their choice. And mostly, they settle down and flourish in their vocation within few years, thanks to opportunities galore in Mumbai. However, a steady flow of migrants from Bihar, UP and MP have also turned the spotlight on the issue of managing these rush of humanity. There is already a mad scramble for land, water and other resources, apart from tough competition for jobs, in Mumbai which is bursting at its seams. Next to Hollywood, Hindi cinema (aka Bollywood) is the second biggest film industry in the world producing nearly 150-170 movies in a year. Millions of people are employed either directly or indirectly in Bollywood which creates deep-rooted craze for commercial films among Hindi speaking people in north India. By the end of 2016, Bollywood's revenue is expected to reach $4.5 billion. 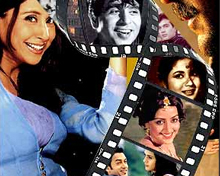 The Hindi film industry's gross receipts have almost tripled since 2004.